The J Nissi School in Cité Soleil opened in October 2011 providing education and hope for the children and families in the area. The first year was 1st grade only, each year we have added one more grade level. The 2016/17 year will have our first graduates of the 6th grade, primary level. These graduates will carry forward to secondary school the hope of an entire community. This school was inspired by a Haitian man named “Windy”, a man who grew up in Cité Soleil and overcame significant adversity to get an education and work as a medical interpreter. Windy’s dream was to help his people by building a school in Cité Soleil. We were deeply saddened in 2014 when Windy passed away after a year of suffering with a never diagnosed illness, likely Leukemia. This emphasized to those that knew Windy the horrific medical care available in Haiti. The school administrator is a man we deeply respect named Jean Philippe Sauveur. In the 2 minute video above you can hear about life in Cité Soleil. He grew up with Windy. Together, their dreams and efforts as leaders encouraging the community to avoid the gangs and go to school. J Nissi has a team of teachers, one for each grade level, a cook, Lalet, who from the very beginning reminds us how critical the school is for the children. Her daily meals and summer feeding program to the community keep her very close to the kids. Windy’s vision for the school was to replace the guns and gangs of Cité Soleil’s youth with books, technology, and a way out of the poverty and violence of their world. Raising the funds and working with Haitians to purchase the building in 2012. Partnering with local residents to clean up and paint the school. Working with a local contractor to build the neighborhood’s most awaited “twalet”. Replacing the roof on two of the buildings. Field trips! Taking the students out of the slum for a day, meeting the helicopter paramedic who grew up in their neighborhood, the pride of the National Museum, the park to run and play. 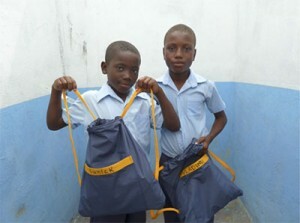 Providing uniforms, backpacks, books, and school supplies. Summer feeding program for the kids and the families near the school. Vacation Summer Camps to provide games, songs and crafts during the summer break. The ongoing momentum in this project has helped to build this from “Windy’s big dream” to a productive school with approximately 100 students that is a beacon of hope in Cité Soleil. The operating costs for this school are approximately $2,000 per month. The financial support provided through donations to AFF helps pay teachers, provide new uniforms each year, purchase books, supplies, and funds a school lunch program. Students receive lunch at school and for most this is the only meal of the day. 100% of your donation to the American Friendship Foundation is used on projects. Our hope is to help as many as possible and recognizing the challenges of the community we serve them all as a ray of hope. Windy always told us to “give what you can, it is all appreciated”. Thank you for your support of this school and community. AFF’s commitment is that 100% of your gift will be sent to the school at Cité Soleil. AFF doesn’t just fund projects! We take several trips a year to visit our partnered projects in Haiti, children programs and also support them with skilled medical volunteers, supplies, and training. 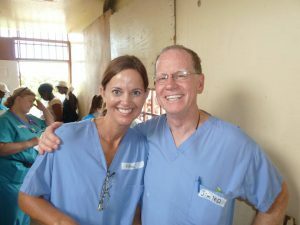 Doctors, nurses, and other medical professionals interested in joining us for a trip to Haiti someday can email jeff.clark@affhope.org.